As humans we take care of ourselves, at least for the most part when it comes to food. When it comes to our pets we want them to be healthy and get a complete diet as well. This includes all of the right vitamins and nutrients in their food in order to keep them healthy and strong. It also should have the right amounts of fiber, protein and calcium for their needs. For your Horsefield tortoise there is nothing better for their diet then the Komodo Dandelion Flavour Tortoise Food 2Kg. The Komodo Dandelion Flavour Tortoise Food 2Kg is a complete food source for your Horsefield tortoise. It contains everything they need in their diet in order to keep them healthy and happy. It has the flavor and taste of dandelions so they will enjoy that even more. Liven up their Komodo Dandelion Flavour Tortoise Food 2Kg a little by adding in some fresh dandelions for a little break. This gives them a little bit of freshness to add to their mix, and they will appreciate the effort on your part. Horsefield tortoises love dandelions, which they are naturally high in oxalates. Oxalates are natural compound found in plant-based food. It is difficult to avoid oxalates completely, yet eating too much can be dangerous. Therefore some experts recommend that dandelions should be fed in moderation. Dandelion also act as a diuretic, which means that a small tortoise may become dehydrated if they eat too much. If you pick wild dandelions make sure that they are collected from a place free from pesticides or car fumes. Tortoise eat both the leaves and the flowers. The long white stalk is high in oxalic acid and this acid inhabits the uptake of calcium. By serving the Komodo Dandelion Flavour Tortoise Food 2Kg, your pet can enjoy the flavor of dandelions all year round. Weeds and flowers are not easily accessible for all owners throughout the year. In some areas, dandelions only bloom in spring and early summer. 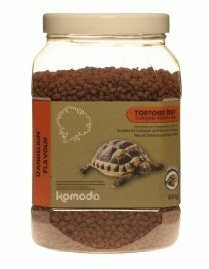 The Komodo Dandelion Flavour Tortoise Food 2Kg is a complete food for all European tortoises, including the horsefield tortoise. It has the right calcium to phosphorus ratio of 3.5:1, and it is high in fiber rather than high in protein. Keeping your tortoise happy when it comes to their food choices may not be easy, but with this formula on your side you have a winning combination of taste and nutrition that will make both of you happy. Some people prefer to soak the pellets prior to serving. 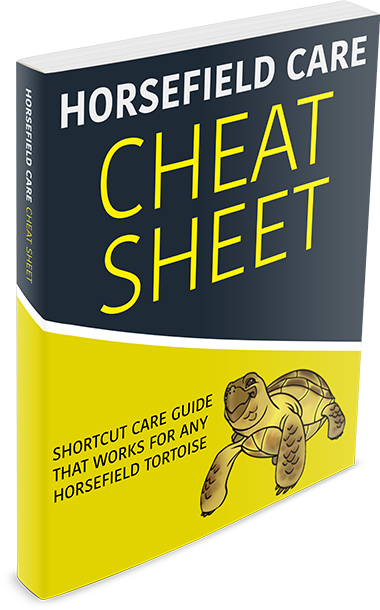 The idea is that this will help your tortoise with fluid intake. Water is important for tortoises and the majority of the water requirement is provided in the food. Yet most of the nutrients will be leaked out into the water and this means that there may be fewer nutrients in the food. Always ensure that your tortoise have access to clean water. Crush the pellets into smaller pieces if your tortoise if having problems eating them.